Remo Recover是一款非常先進和高效的分區恢復軟件，可以有效地找到丟失的ExFAT硬盤驅動器分區，以成功恢復其所有內容。 這個功能強大的工具可用於執行各種其他類型的數據恢復，包括 從未分配的驅動器恢復文件, 在不可安裝的磁盤上執行數據恢復，以及高效率的許多其他關鍵任務. 步 1: 在Mac上安裝Remo Recover軟件並啟動該軟件。 它將顯示主屏幕有三個選項。 點擊 "Recover Volumes / Drives" 選項. 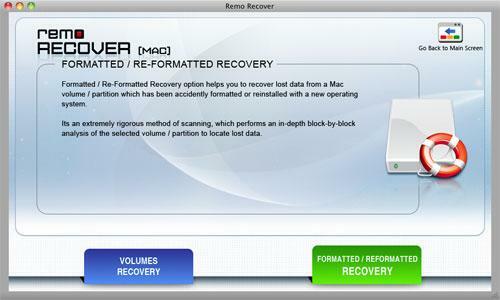 步 2: 在下一個屏幕上，選擇 "Formatted / Re-Formatted Recovery" 要么 "Volumes Recovery" 選項. 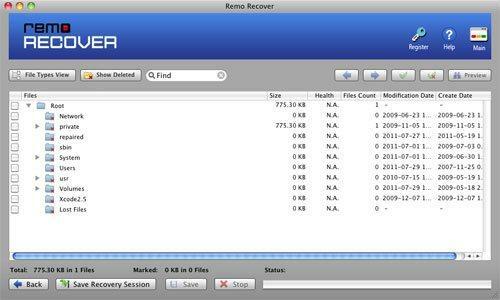 步 5: 使用 "Save Recovery Session" 選項以避免重新掃描ExFAT分區.